Fantastic value for this neutrally decorated, well maintained condo in prime complex. Exceptional floor plan with great flow and no wasted space, large living room and dining room area with custom built in, cozy den, large master bedroom with large closets and ensuite bath, in unit laundry, very functional kitchen with built in appliances and newer countertop, newer neutral high grade carpets. 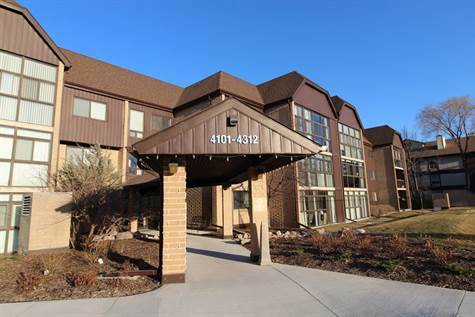 3 season sunroom, quiet location within the complex, underground parking stall. The complex itself is professionally managed and has some terrific amenities such as large "clubhouse" for use for family gatherings, large well maintained outdoor swimming pool and surrounding patio, tennis courts, lush landscaping. Truly a valuable opportunity not to be missed!